If you’re planning to travel to Grenada, you’re probably expecting that it will cost a fortune for your trip. Grenada is located in the Caribbean, a region of our world that isn’t known for being very budget friendly. And while it’s true that many of the things to do in Grenada are costly, there are numerous ways to keep your budget down. 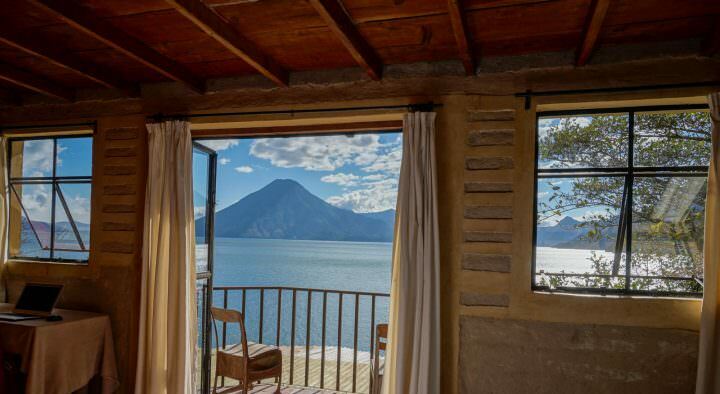 You can choose from hostels, guesthouses, apartments, house-sitting, couchsurfing, or camping. During the high season (December – February and August), prices will be higher, but still affordable (Note: Hurricane season runs from June – November). Some of the hotels on the island are high-end luxury, and expensive boutiques, such as the gorgeous Mount Cinnamon Grenada. 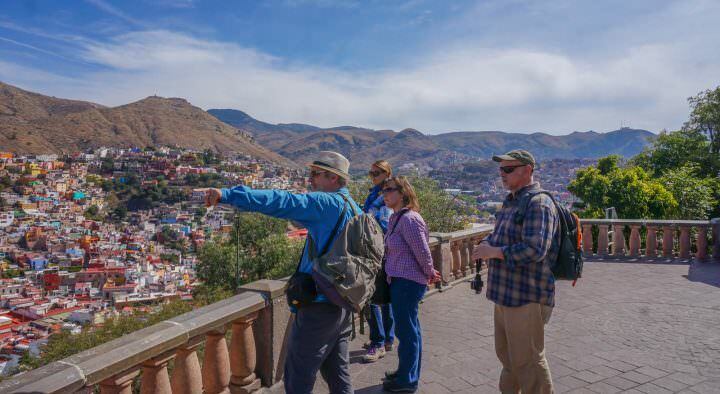 But, luckily, there are still many affordable options for budget travellers. Couchsurfing: This is a worldwide website designed to put locals in touch with travellers. Grenadians (or foreigners living in Grenada) will have created a profile and are willing to have travellers come and stay in their home, for free. Most of the situations allow you to have a private room, rather than just a couch as the website name suggests. Free accommodation, plus the chance to interact with locals…what more could you want? Sign up here to find hosts in Grenada. House Sitting / Pet Sitting: When homeowners / pet owners want to go away on holiday, or back to their homes abroad, they need someone to take care of their property and furry friends. If you are chosen as the housesitter, you will be able to receive free accommodation in exchange for being responsible for the house and pets. Normally a car is also available for you to use, and in some cases, a salary is also paid to the housesitter. In our experience, the homes have all been very nice. 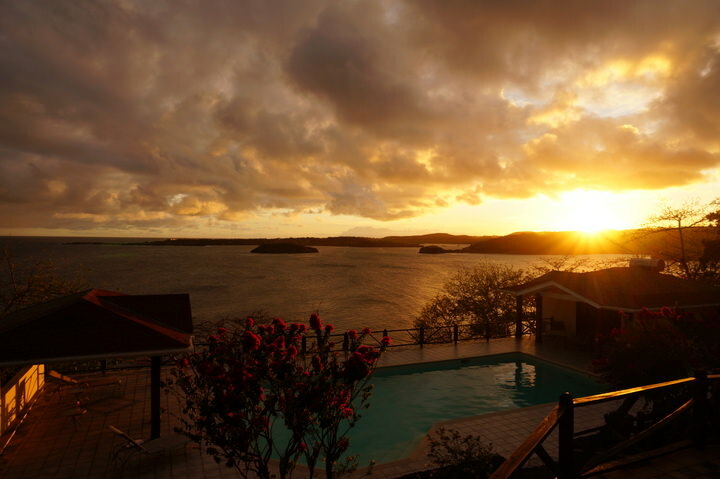 Sign up for Trusted Housesitters and start looking for jobs in Grenada. 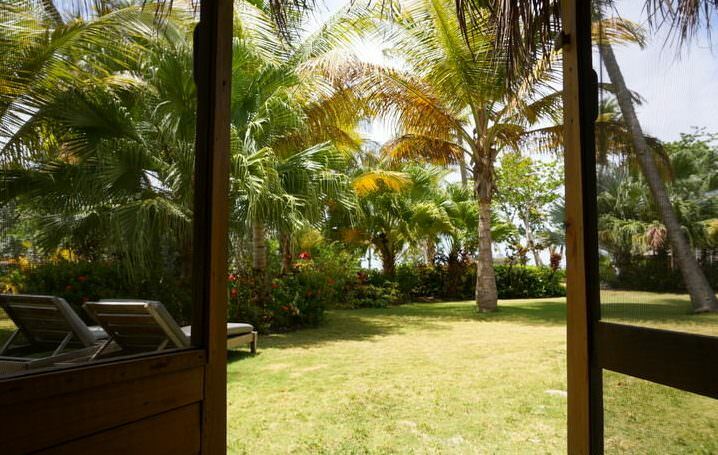 Airbnb: There are actually quite a few accommodation choices on Airbnb in Grenada. This is a great option to find cheaper rooms – either a room in a house / apartment, or an entire apartment to yourself. The ones I saw online went from $30 / night! Not bad, especially if you split that price with someone. Click here to take a look at Airbnb, and don’t forget to get your Airbnb coupon code! Hostels: There aren’t any hostels in the traditional sense. However, there is one place located in the north called Crayfish Bay Organic Estate. You can stay there, learn about farming (primarily cocoa). Guests are welcome to get involved in the cocoa farming process! Or, you can just chill out and relax. Dorm beds go for $61EC ($22.50), or an entire cottage for 2 people costs $140EC ($51). Click here for more information, and to book. Camping: Camping in Grenada is another option. You can pitch a tent on a beach, for free. Locals do this on the “secret” beaches, or the quieter ones. Ask around about camping on the busier beaches. We personally haven’t seen this happening on the popular beaches, but did see backpackers camping on well-known stretches of sand throughout the Grenadines island chain – two women actually. I wouldn’t recommend this option to solo female travellers, or a male / female couple, or those who are travelling with expensive gear. Basically, if you’re a man, or if you are with a group of people, then it should be fine! Even better is if you have some locals with you as well. Always heed advice from Grenadians about where to camp, and where not to. When it comes to eating, there are some excellent affordable options on the island. Sure, there are the more expensive restaurants where a meal will run you $60EC ($22.50), but if you’re on a budget, here are some places (and ways) to find a cheaper meal. Weekend BBQ’s: Every Friday you’ll see street side vendors and small shops setting up for their weekend BBQ. They are found all over the island. This is an excellent way to get a delicious and cheap meal, plus you’ll get to mingle with Grenadians. Expect grilled pork, chicken and fish…with a side of beer. Typically, there aren’t any salads or other side dishes served. Prices vary, but generally the meat goes from $7EC – $10EC ($2.60 – $3.70) Note: there is a Jamaican Jerk Chicken stand in Grand Anse Valley that is open almost every day. 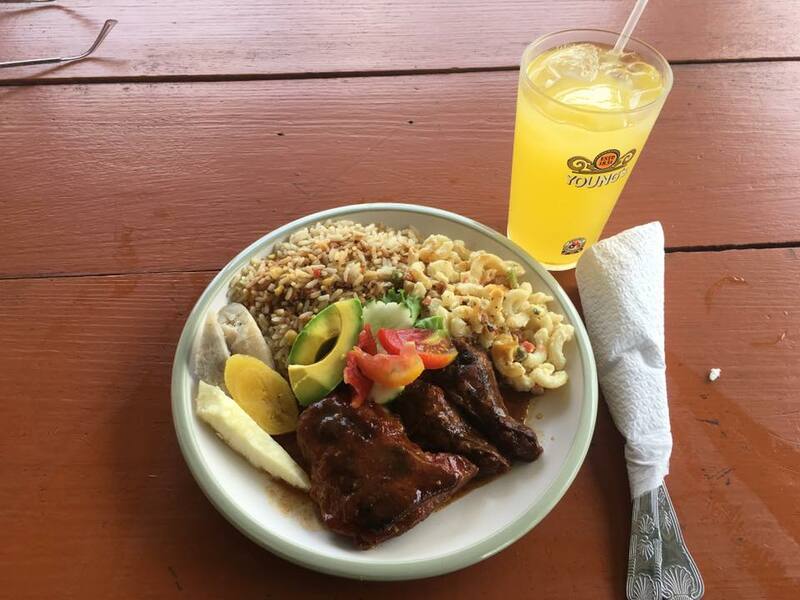 Our favourites: Jamaican Jerk Chicken (Grand Anse Valley), Jillian’s BBQ (located at D’Cliff), Roseanne’s BBQ (on the bend before OK Fun Center on your way to La Sagesse Beach), and the Garlic Chicken stand (in St. Paul’s). Waters (Local Soup): “Waters” is a Grenadian one-pot soup. You’ll find lambi (conch), seasoning, onions, and other vegetables. Check out Andy’s Waters (Grand Anse Valley) and Joey’s on Fridays (located near the turn off to Le Phare Bleu / Egmont). Cost: $10 – $15EC ($3.70 – $5.50). Roti: Roti is a delicious West Indies food, one that makes for an excellent (and cheap) lunch. 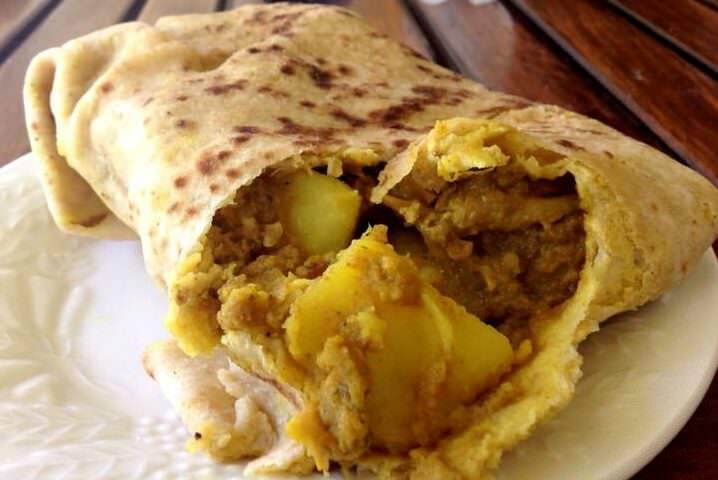 Curried chicken with potatoes and vegetables are wrapped in a heavy flour based roti “skin”. This delicious square package goes for $10EC ($2.70). Our favourite roti in terms of flavour is from the Bakery attached to Foodland in Westerhall. Doubles: Doubles are an extremely popular breakfast food in Trinidad, and luckily for us in Grenada, there is a Trini couple serving up doubles three times a week! Latta and her husband Frank are located on Wall Street in Grand Anse. They serve doubles out of the back of their orange van for $5EC ($2.70) each. These are the best doubles! Caribbean Buffet: For a wide selection of Caribbean foods and flavours, check out one of the “buffet” style places. Basically, you point at each item you want, which will then be placed into a takeaway container. The food is then weighed and you pay based on the weight of the meal. A filled box of food with meat will typically be about $20EC ($7.40). Check out Grill Master on Wall Street in Grand Anse and the Creole Shack in St. George’s next to the bus station. Kathy’s Soul Food: For a delicious Grenadian plate of food, don’t miss out on Kathy’s Soul Food! This restaurant is located just before you arrive in Grenville if coming from the south. The chicken, macaroni, rice n’ peas, salad and vegetables are delicious. A plate of food is about $15EC ($5.50). Don’t miss the fresh passionfruit juice. Umbrellas Beach Bar: This is a fun and affordable beach bar located right on Grand Anse Beach. The food here is international, with lots of fresh fish on the menu. Homemade cheeseburgers with bacon are $25EC ($9.25), honey bourbon chicken wings are $14EC ($5.20), a tasty fish sandwich is $19EC ($7.00), a plate with fish fillet and salad is $40EC ($14.80). There is live music on the weekends as well, and drink specials. Fruit and Vegetables: There are fruit and veggie stands around the island, which is a great way to sample the island’s produce, and support the farmers. 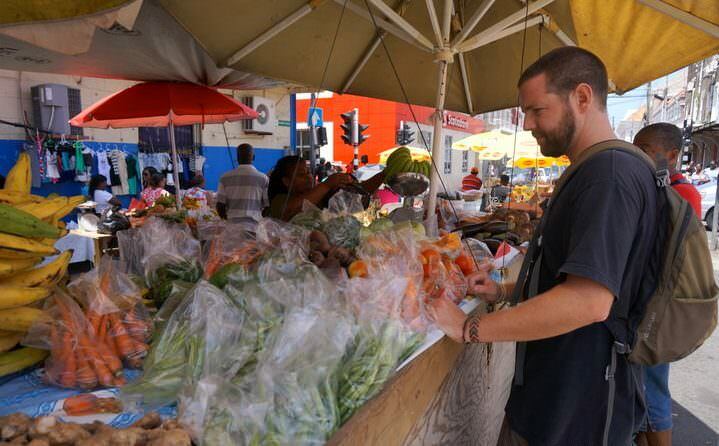 On Saturday mornings in St. George’s there is a market, and throughout the week you’ll find vendors everywhere. Water is safe to drink from the tap so you can save lots of money on bottled water! Beers are $20EC ($7.40) for a 6-pack in the grocery stores and $5 – 7EC ($1.85 – $2.60) at restaurants. Rum punch cocktails are usually $10EC ($3.70). You can also stock up on food at the grocery stores, but be warned, many of the items are imported and therefore expensive. If you have your own kitchen however, it may be worthwhile purchasing some chicken, pasta, or canned foods from the shop and cooking for yourself. The most popular (and well stocked) grocery store is IGA, with FoodLand and FoodFair coming in second. 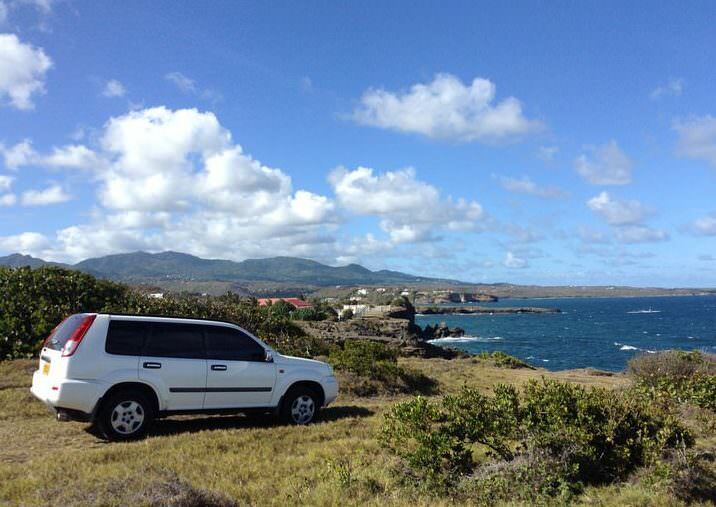 The best way to see all that the island has to offer is by car. But, when you’re on a budget, renting a car for the duration of your stay probably isn’t feasible. Therefore, your best bet is to take a van (bus). These buses are just minivans which stop along the road at determined, and undetermined bus stops. The more people a bus driver can pick up each day, the more money he will earn. A typical journey on the bus will cost you $2EC ($0.75). If you’re heading from the south to the north of the island, expect to pay around $5EC ($1.85). The vans are all privately owned (the driver is typically the owner), and can hold around 20 passengers. To flag down a van, just put your hand up and the van will slow down. The sliding door will open and the conductor will yell at you (asking where you’re going), if he’s going your way, get in! The vans are usually full, the Caribbean music is blaring and the journey can be a long’ish one. Be prepared for some crazy driving as well. But, it’s an authentic experience and you can meet some wonderful people in the vans. If you want to be let out before the bus station, simply bang your hand on the side of the van, or on the roof and the driver will pull over. 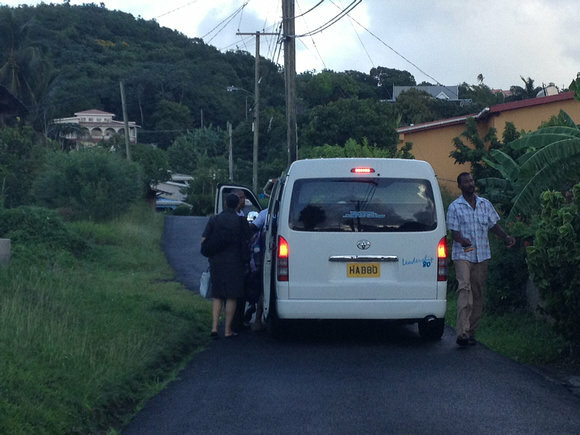 For more useful information on what it’s like to take a bus in Grenada, check out this post. Another option for those on a budget is to walk (be warned, it can be hot!) or hitchhike around (locals do this often). 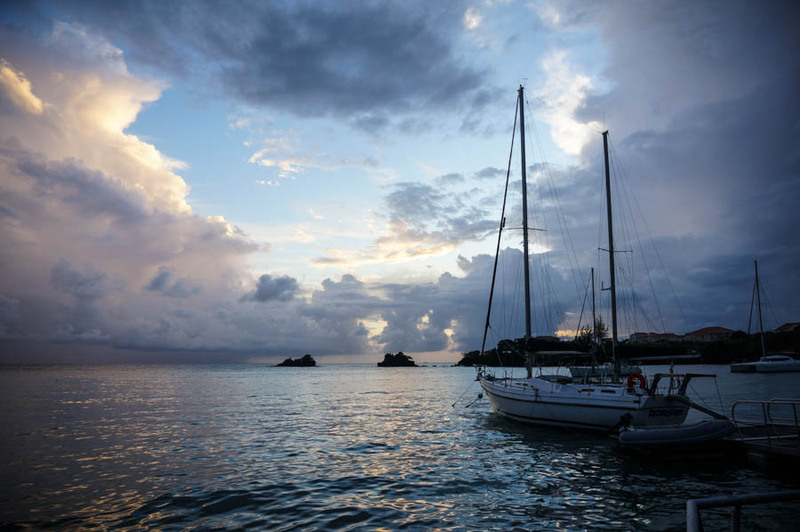 To get from Grenada to Carriacou, your best option is the Osprey Ferry, or befriending a sailboat owner! Grenada is rugged, pristine and natural. 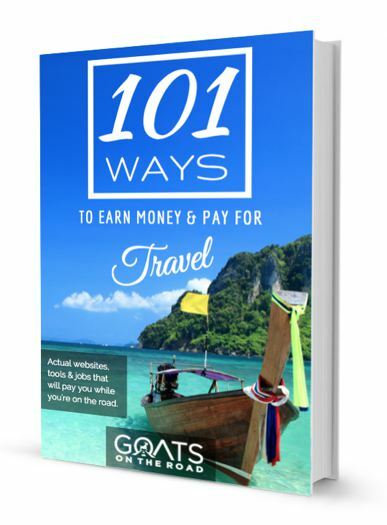 There are endless amounts of budget activities for both the adventurous, and relaxed traveller. 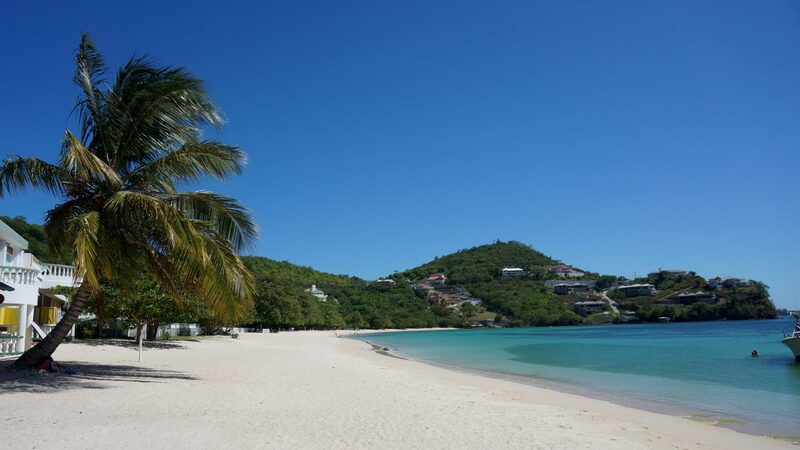 Liming is a popular past time on the island, which basically means hanging out with friends doing nothing! Limes happen on the beach, in the bush or at a friend’s home. Swimming: There are some gorgeous beaches in Grenada. Swimming and spending the day lazing on the white sand is completely free, unless you decide to purchase some drinks, or rent a beach chair $5EC – $10EC ($1.85 – $3.70). Snorkelling: You can join a tour, which will cost you around $52 USD including snacks and gear, or if you bring your own snorkel gear, you can head out by yourself! The snorkelling in front of Aquarium Restaurant on Magazine Beach and at the southern end of Grand Anse Beach is great. Hashing: Hashing is a social group of “drinkers with a running problem!” this group gets together every Saturday to walk or run on a pre-determined trail, which typically starts and ends at a bar or rum shack. This is a very unique thing to do around the world. Don’t miss hashing in Grenada! The cost is just $2EC ($0.75) and it’s a great way to get exercise, meet people and see interesting parts of the island. Click here to learn more. Visiting Waterfalls: It used to be free to visit some of the falls in Grenada, but now the going rate seems to be about $5EC ($1.85). 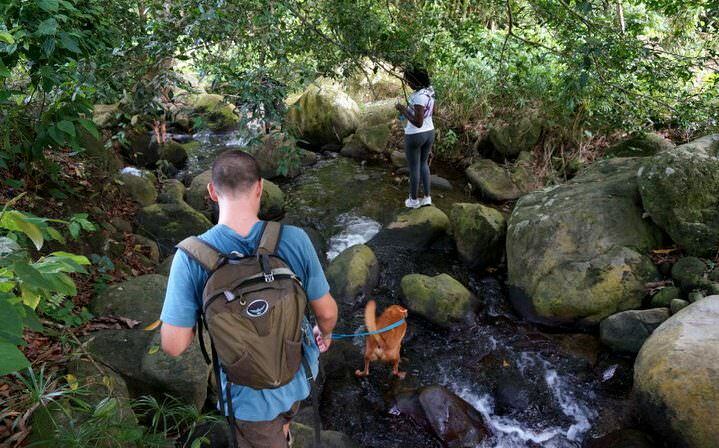 Check out the beautiful Annadale, Mount Carmel and Seven Sisters waterfalls. Hiking: The hikes and walks in Grenada’s rainforest are very lush. In Grand Etang National Park, there are numerous trails, with Mt. Qua Qua being one of the popular ones. It technically costs $5EC ($1.85) to enter the park, but there is rarely anyone at the ticket booth. Walking around any of the points around the island is always nice, as is hiking from beach-to-beach. 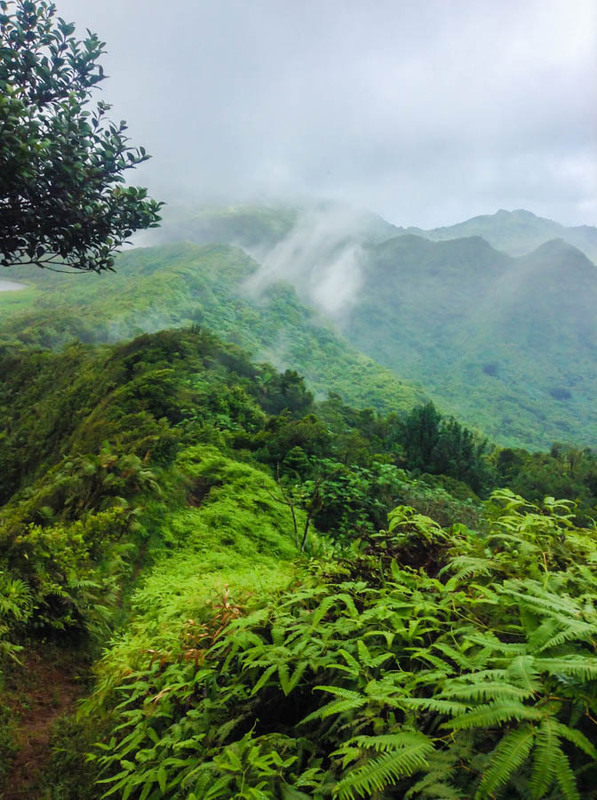 There are some “secret” hikes found all around the island, just ask a local to give you some advice. Yoga: There are a couple of yoga studios on the island. Grenada Fountain of Youth is located down at Grand Anse and offers classes for $30EC ($11.00), with discounts on weekly and monthly passes. Spice Harmony is located at “D’Cliff” in St. George and offers classes at $20EC ($7.40) each, with discounts for weekly and monthly passes. 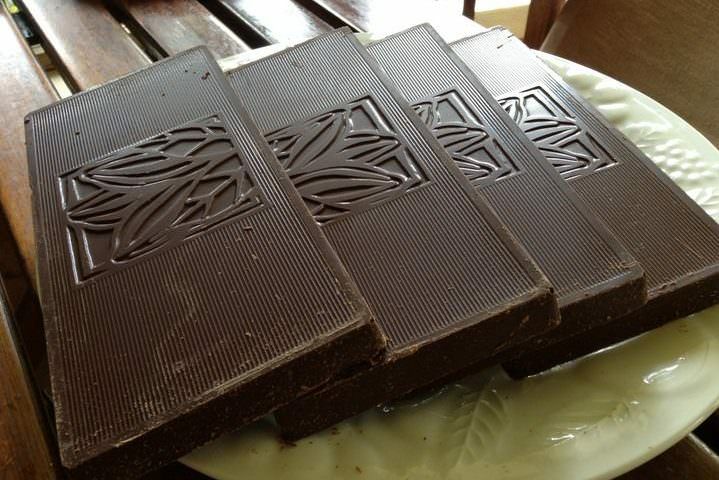 Chocolate Tour: Grenada is home to some of the best organic chocolate – from tree to bar! Much of the cocoa grown in Grenada is actually shipped abroad to be sold commercially. The Belmont Estate is a gorgeous property offering short tours for just $13EC ($4.80). You’ll lean about the production of cocoa, and at the end you’ll be able to sample the wide variety of chocolate, and cocoa tea. Live Music: If you want to see the traditional Steel Pan music, head to Prickly Bay restaurant and bar. If you buy a drink, you’ll be able to listen to the music, which starts at around 6:30pm. To hear some other incredible musicians, check out Umbrellas on Friday – Sunday, Junction Bar on Saturday or Le Phare Bleu on Thursdays and Fridays. Movie Night: On Sundays at Prickly Bay they play two movies on the big screen TV…for free! All you need to do is purchase a drink. There’s a family friendly film at 6:30, followed by a more adult movie. Volunteering: If you want to make a difference during your stay in Grenada, consider helping out for a few hours at the Belair Children’s Home (near the airport), or the GSPCA. They always need a helping hand. Helping out with the nesting leatherback turtles is also an amazing experience. Of course, walking around exploring the cities of St. George’s, Grenville, Sauters or Gouyave are all free! For more on what to do in Grenada, check out our article: 61 Awesome Things To Do in Grenada. 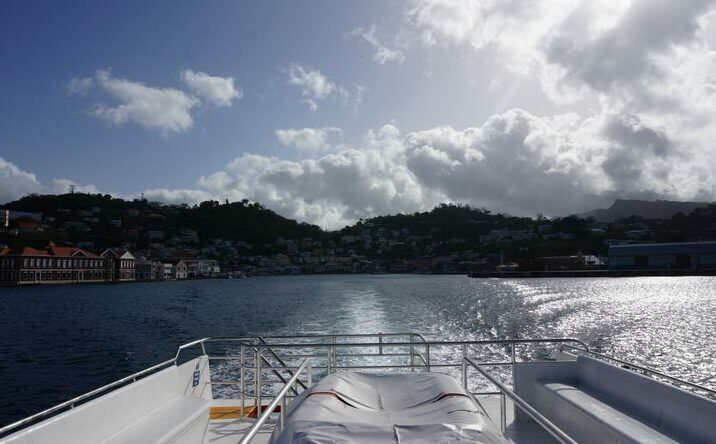 Travel to Grenada on a Budget! 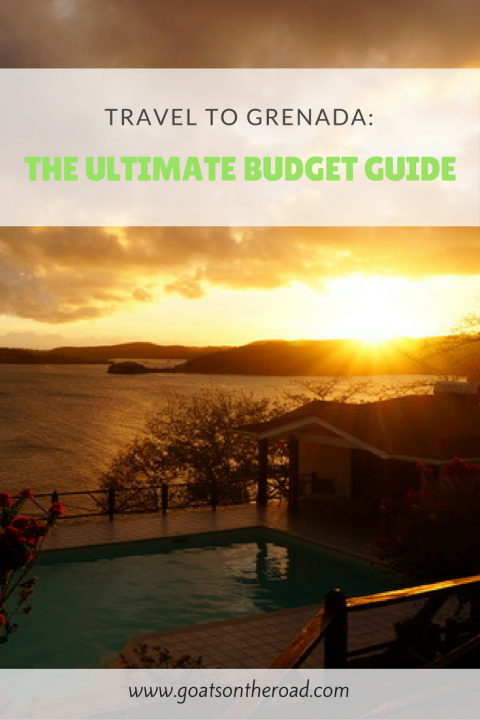 Hopefully this post gave you some encouragement and useful information on how to travel to Grenada on a budget. Whether you’re planning a quick trip to Grenada, or are on an island hopping trip in the Grenadines, or are a backpacker looking to save some cash, Grenada is the place for you. On the Isle of Spice, there are options for every budget, and every traveller! Alright, between the roti, the waterfalls, the beaches, and the chocolate, I’m in! I’m assuming you guys are housesitting while in Grenada, do you find you are able to become part of the neighbourhood pretty well? What about safety? Do you both feel comfortable walking down the street at night? What about alone, question goes especially to Dariece? 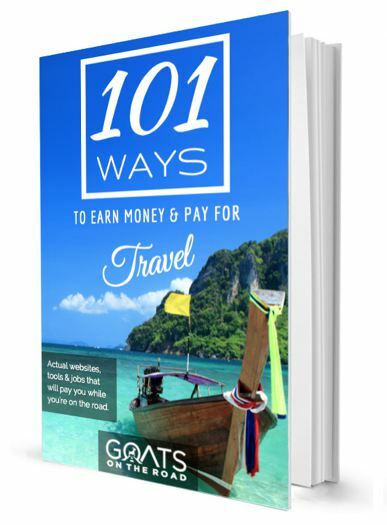 Glad to hear you can be there without spending a ton, always looking for ways to get to great places on the relative cheap… Thanks Goats! That’s really nice travel Grenada ultimate budget guide for the tourists. It gives you an amazing destination for the travellers. The other wonderful place for snorkelling is Dragons Bay/ Flamingo Bay. This is easily reached by the number 5 bus from St George’s. If you have your own gear then this ends up very cheap. With its marine reserve protection the fish variety and quantity is probably the best on the island and easy to snorkel off the beach. Obviously, you can snorkel the underwater sculpture park and there are locals who can take you out in a boat. This is my first time on your blog and I absolutely loved your post. I was a little doubtful about travelling to grenada this year but feel a lot better after this read.